A novel in five stories of displacement and migration in contemporary India. Five characters, in very different circumstances?from a domestic cook in Mumbai, to a vagrant and his dancing bear, to a girl who escapes terror in her home village for a new life in the city?find out the meanings of dislocation and the desire for more. In Mukherjee’s hands, familiar fare is elevated by his empathy for the poor and the journalistic efforts he undertakes to understand them. One may even argue that Mukherjee writes about the rich only in order to write about the poor ... Mukherjee is skilled at writing about violence — against animals, gay men, elderly mothers, young wives. When his characters commit physical abuse they aren’t showing off their strength as much as they are lamenting their weaknesses. These scenes demonstrate a powerful restraint. If Mukherjee tested his readers with overwriting earlier novels, here he rewards them for their perseverance, producing his best work yet ... This bleak and entirely justified vision of modern India is what binds together Mukherjee’s stories and indeed his oeuvre. In an arid landscape so inimical to the hopes and dreams of the majority, even those who fight to improve their lives will fail. While the reader aches for the sections to finally come together, for some kind of unity or catharsis, each section — save for a few instances of the protagonist from one section mentioned in another — stands alone, its own silo, an illustration of the isolation endured by almost all the characters ... many of the sections are sprinkled with otherworldly moments and spectral figures, so that these narratives read almost like ghost stories, while others are rooted firmly in the achingly realistic, unequal, and unjust soil of modern day India. There are stories of casual but unimaginable cruelty between mistress and servant, human and animal, political activists and their victims. A tourism brochure for India, this novel is not ... Accustomed as we are to reading novels that follow a standard narrative arc, some readers may find it frustrating to read a book that labels itself a novel but lacks, as Mukherjee puts it, the 'connective tissue' that ties disparate sections together. Repeated words, pronouns not clearly referring to one character or another, flabbily padded phrases, irritating tics of style, eruptions of verbosity: there is so much distractingly bad writing in the first section of Neel Mukherjee’s new novel, it’s difficult to concentrate on what he is actually saying ... But anyone tempted to abandon the book at this point should persevere. Although later pages are still liable to congestion and carelessness, they are much better written. 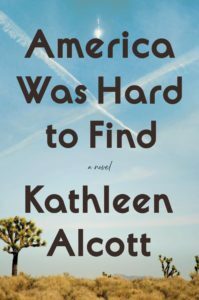 They’re also ambitiously and intelligently engaged with important themes – several of which are treated explicitly (deracination, the inequalities of Indian society), and one of which emerges more subtly, through clever and well-handled plotting ... This linked structure emphasises the value of life as life, regardless of wealth and status and circumstance. But it also conveys a sense of inter-relatedness that allows Mukherjee to say something about how families and communities work in general, and about how Indian society functions in particular ... At a time when the manifold dramas of migration are centre stage, we often hear writers making the sound of lamentation. The sound of grief is audible everywhere in A Sense of Freedom, but it never drowns out the voices insisting on their right to thrive. One of the most dynamic aspects of Mukherjee’s flawed but vital novel is that even while facing up to unhappiness it continues to show an affirming flame. 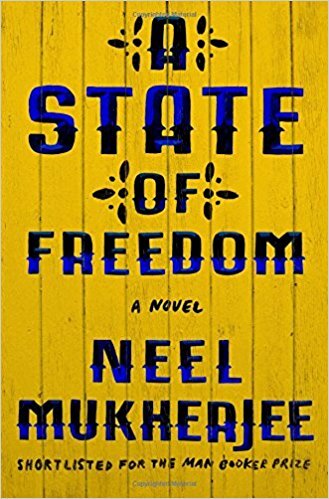 What did you think of A State of Freedom?